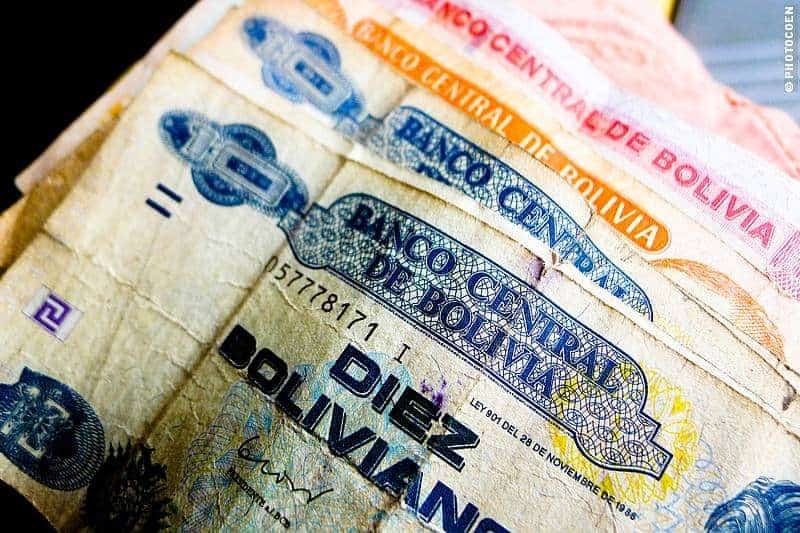 The Bolivian currency is bolivianos. In writing, B is used. Compared to Brazil, Argentina and Chile, Bolivia is very cheap. For example, a set meal lunch will cost between 10 and 20 bolivianos (1 and 2 euro). Aug ’07: in Ibiboso (Transchaco Highway) we could change our Paraguayan guaranis for bolivianos at the immigration office. Sep ’10: the rate was 8.6 bolivianos to a euro. During our various stays between 2007 and today we have used ATMs to withdraw money and never had problems with that. By the way, it seems they are using the word ‘pesos’ more than Bolivianos. Is this a new thing? Has the name of the currency changed, or is it a regional issue (and thus ‘pesos’ in east Bolivia)? This information may be outdated, or incomplete. What are your experiences? Please share them with us in the comments below so other travelers can benefit from them. Thanks. Other practical topics on Bolivia: Gas Stations, our Travel Budget, Documents (visa & car papers), Workshops.